The sturdiness of a roof starts with the roof deck. It’s the base of the entire structure, and acts as a sort of foundation for the other roof components, such as the shingles and underlayment. While there are many types of materials used in the construction of roof decks, three stand out as the best. 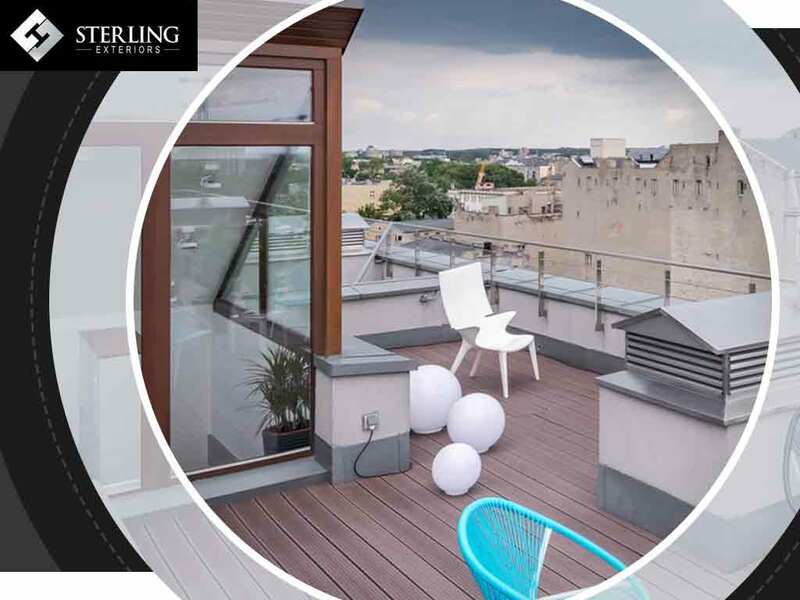 Sterling Exteriors, your local roofing experts, shares the three best roof deck materials for a stable roof surface. More commonly known as plywood, sheathing boards are made from thin layers of wood adhered together. The grain of each layer is at right angles to adjacent layers, giving the roof deck better dimensional stability and greater strength. Plywood panels are typically installed with 3 mm spacing between each panel, unless stated otherwise by the manufacturer. This roof deck material is the most readily available, and while the others on this list are slightly superior, sheathing boards are a solid choice if you’re looking for straightforward durability for your roofing system. Oriented strand board, or OSB, has cross-oriented layers of thin rectangular strands that are compressed and bonded together using a waterproof exterior-grade binding agent. These boards are formed into wide mats, and their layers are oriented in the same way as plywood, with three to five layers making up the deck. Standard OSB panels are the best choice for non-load-bearing roofs — roofs that don’t have any extra structures on top of them, such as AC units, fans and chimneys. For load-bearing applications, OSB/3 and OSB/4 panels are the better choice. Solid wood boards are a good alternative to the usual sheathing boards. They are manufactured no wider than 150 mm, and approximately 24 mm thick to minimize the effects of distortion. Cedar is the best choice for wood boards, as it has natural strength and higher durability when compared to other wooden boards. Since wood is more susceptible to moisture damage, houses with wooden boards in the roofing system must have ample ventilation in the attic to ensure that the moisture-rich air is properly expelled. Not only does this prevent rot damage to the wooden boards, it also reduces the amount of swelling and shrinking they’ll experience. As your local roofing experts, Sterling Exteriors will help you pick the right deck material for your roof. Call us today at (513) 322-4777 to learn more about our services. We offer complete roofing services throughout Cincinnati, Loveland and Newton, OH.